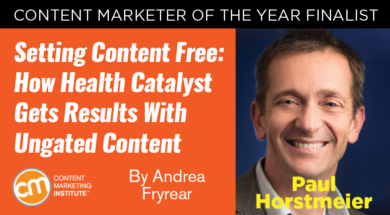 Editor’s note: Kira Mondrus is a finalist for 2017 Content Marketer of the Year. We will be sharing insight from all CMY finalists in the blog before the winner is announced at Content Marketing World this September. Mediocre content marketing is often built on the shaky foundation of assumptions and generalities. 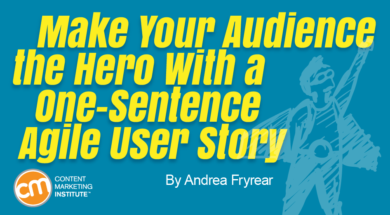 Creating detailed personas and accurate buyer journey maps takes time, effort, and resources, and often it seems easier to skip those steps and dive straight into writing generic blog posts. 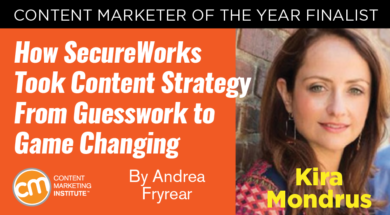 Poor targeting, however, delivers poor results, as Kira Mondrus, SecureWorks’ director of global marketing, knew when she joined its team in 2014. 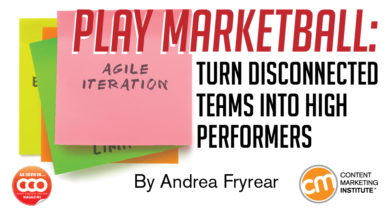 Unwilling to commit to content marketing without personas, journey maps, or useful attribution data, she set about building a firm base from which to work. 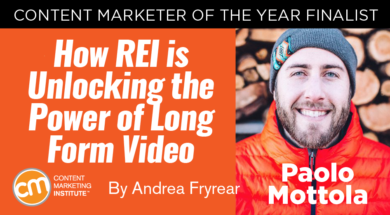 Editor’s note: Drew Bailey is a finalist for 2017 Content Marketer of the Year. We will be sharing insight from all CMY finalists in the blog before the winner is announced at Content Marketing World this September. 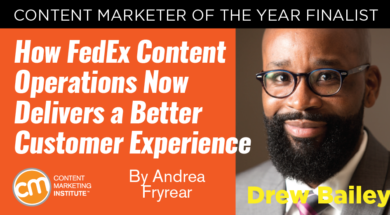 Redundancies, overlaps, and a general lack of communication kept good content marketers from delivering a better content experience for FedEx customers. Editor’s note: Monica Norton is a finalist for 2017 Content Marketer of the Year. We will be sharing insight from all CMY finalists in the blog before the winner is announced at Content Marketing World this September. 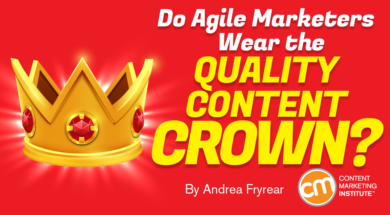 Many brands struggle to stay out of the spotlight in their content. They begin with good intentions to quietly wait in the wings, but over time the brand creeps back to center stage. Have you ever spent weeks or even months crafting a perfect piece of content that generated almost no response from your audience? You expected trumpets and confetti, praise-filled emails, maybe even a raise. Instead, you got crickets. 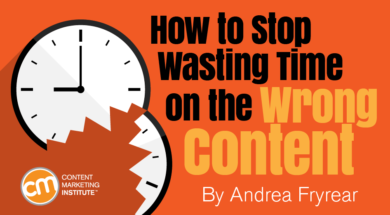 While you might accept these disheartening flops as the cost of doing content marketing, they represent an enormous waste of time and resources. 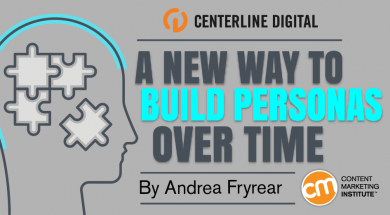 Centerline’s chief strategy officer John Lane is on a mission to change the way that we think about our personas. Instead of investing a disproportionate amount of time up front creating a perfect persona that you never revise, he recommends adopting an iterative approach.